PERTH, Australia -- A 62-year-old recreational hunter lost in a hot and arid region of the Australian Outback survived without water for six days by eating ants, police said Tuesday. Reg Foggerdy left a car driven by his brother late Wednesday in pursuit of a camel in the Great Victoria Desert in Western Australia state, Police Superintendent Andy Greatwood said. After his brother alerted authorities, police trackers found the former miner sitting under a tree on Tuesday morning 15 kilometers (9 miles) from where he became lost. "He just spent the last two days under a tree eating black ants and that sustained him," Greatwood said. 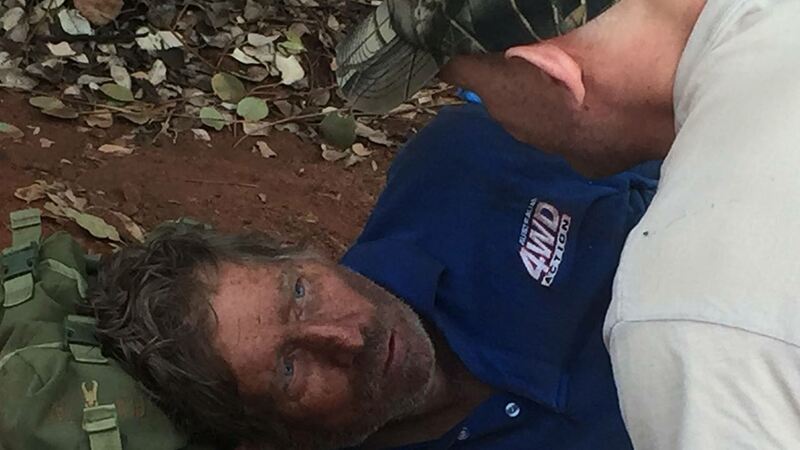 "When we found him, he was extremely dehydrated, disoriented and basically delusional." A paramedic immediately gave Foggerdy intravenous fluid and he recovered quickly. "The good news is he was sitting up and talking," Greatwood said. Foggerdy was airlifted by the Royal Flying Doctor Service to the Kalgoorlie Hospital. He was admitted in stable condition, hospital spokesman Peter Cogan said. The brothers had been driving back to their camp 170 kilometers (110 miles) east of the nearest town, Laverton, after a day's hunting when Foggedy went missing, wearing only a T-shirt, shorts, a cap and flip flops. Temperatures reached up to 37 degrees Celsius (99 degrees Fahrenheit), Greatwood said. Greatwood would not speculate on how much longer Foggerdy could have survived. "It was probably good will and a miracle that he survived as long as he did under those conditions with no water," Greatwood said. Foggerdy's wife Arlyn said she cried when she heard he had been found alive. "How you can survive without water and food is a miracle," she said. Camels were brought to Australia in the 19th century as pack animals to pioneer the island continent's dry interior. Hundreds of thousands of feral camels now run wild in remote regions.